It’s easy to embrace winter when it’s all fresh and new—bust out those mittens, make a snow angel, sip some hot chocolate. But as winter wears on, dreams inevitably turn to a warm escape as we shovel yet another sidewalk buried in white stuff. As it turns out, relief is a lot closer than you might think, and we’ve rounded up some of the best picks for a sunny, sandy respite. From romantic getaways to family-friendly islands, these U.S. beaches are certain to take the bite out of winter’s chill. This roughly 12-mile-long, hammock-shaped island off of Florida's southwest coast is one of the best places in the country for collecting shells. It's east-west orientation acts like a huge shelf on which shells from the Gulf accumulate—especially on the beach on the south side of the island. 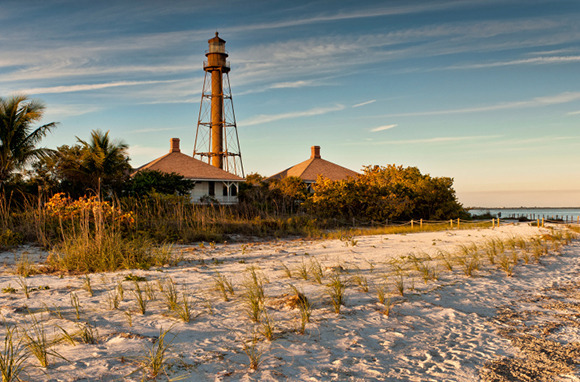 At the eastern tip of Sanibel lies Lighthouse Beach Park, with views of Ft. Myers across the bay and, of course, the lighthouse. You can take a boat tour of the red mangroves on Tarpon Bay (keep an eye out for manatees), but rent a paddleboard instead to justify a morning stop at Bennett's Fresh Roast for some coffee and a homemade maple-bacon donut. The temperatures couldn't be any lovelier on the Garden Island in winter. 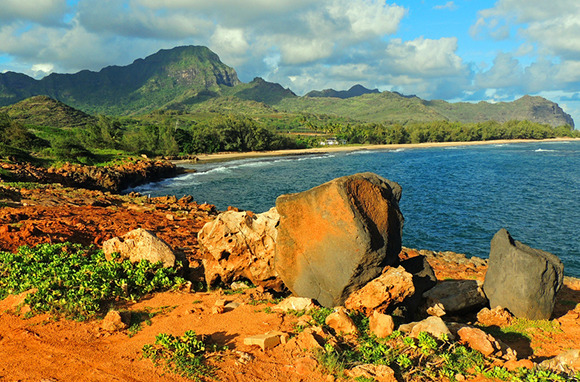 But it is the rainy season, so your best bet is on Kauai's south or west side, the "dry" or leeward sides of the island. Poipu Beach Park has a naturally sheltered shallow pool, perfect for kids. For the adventurers, seven-time women's world surf champ Margo Oberg has run a surf school on Poipu for more than three decades. Brennecke's Beach Broiler has been a fixture on this side of the island for years—and it's the perfect spot to nibble on a pupu platter while watching some of the best bodyboarding waves on the island. California's Riviera coast is particularly inviting during winter: Days are still comfortably warm, and the winter casts a soft light that turns sunsets neon orange and pink. 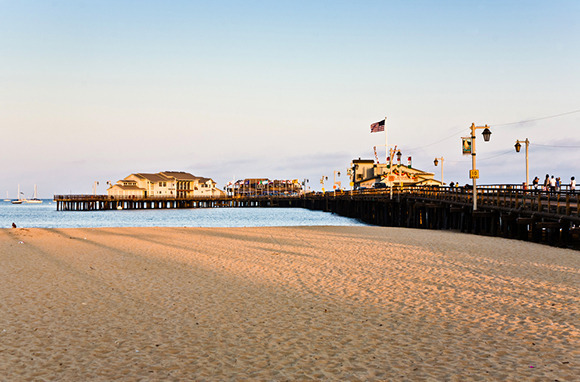 While the beaches on either side of Stearns Wharf are popular with tourists because of their proximity to State Street and its restaurants and shops, locals (and their dogs) head a few miles west to Arroyo Burro State Beach. Here, you can walk for miles when the tide is low, exploring tidal pools along the way. Near the parking lot is one of the best beach restaurants in Santa Barbara, so pull up a stool at the outside bar at Boathouse for an order of Monterey Bay calamari and a cucumber margarita. 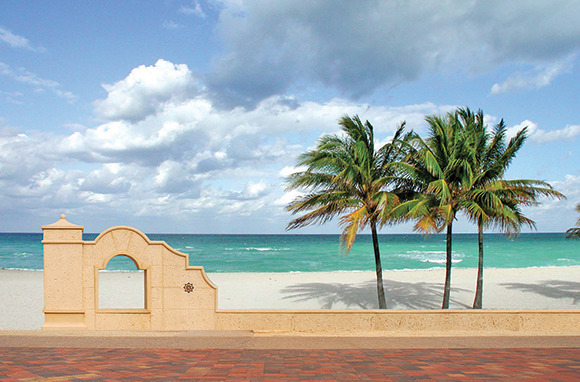 Station yourself anywhere along the 2.5-mile Hollywood Beach Boardwalk and watch the nonstop scene of joggers, Rollerbladers, cyclists, and strollers streaming by. Consider picking up a cruiser bike at one of the rental shops along the boardwalk (some even come with cup carriers mounted on the handlebars to carry your beverage of choice) and pedaling north to Hollywood Beach State Park. Then cruise back down to the Sugar Reef Grill for a grilled mahi sandwich with mango salsa. Just steps away, the clear, blue Atlantic is warm enough (75°F or more in winter) for an afternoon swim. And the mild temperatures in the evenings means there's live music (and dancing) nearly every night at the Hollywood Beach Theater, right on the boardwalk. Here, the Gulf of Mexico can sometimes (but not always) be warm enough to swim in winter. But the daytime air temperatures are almost always welcoming on the beaches of this half-mile-wide, 34-mile-long barrier island. If beachcombing starts to leave you restless, adventurous types can hire horses or ATVs for a ride on the beach—or take a dolphin-spotting boat trip or sunset catamaran dinner cruise. If you're still looking for some fun in the water, head to Schlitterbahn's indoor water park, featuring a wave pool, swim-up bar, and kiddie splash pool. 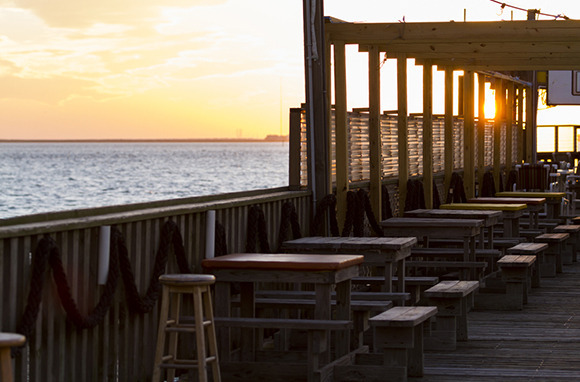 At the end of the day, head to Padre Island Brewing Company for grilled Texas quail and a microbrew. Wedged between the Pacific Ocean and the undeveloped San Joaquin Hills along seven miles of protected coastline, Laguna Beach is an oasis amid Orange County sprawl. To the north, between Main Beach and Heisler Park, the sand gives way to rocky tide pools, where you can spot crabs, urchins, and anemones during low tide. Winter days are usually mild enough for sunbathing or at the very least a leisurely beach stroll. Keep your eye out for spouting migrating whales. Laguna Beach's reputation as an artists' colony goes back nearly a century, and Coast Highway, as it snakes through town, is lined with galleries. 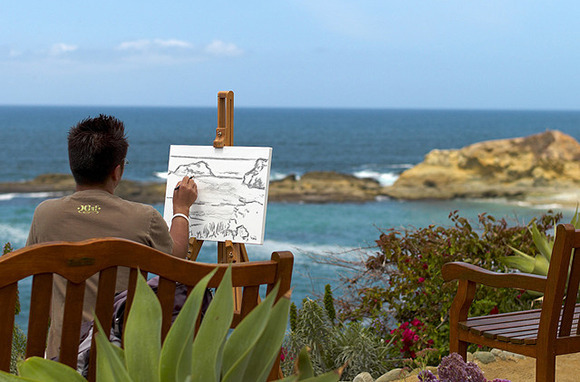 Check out the Laguna Art Museum, overlooking the ocean, for its collections and exhibitions celebrating California and its artists. 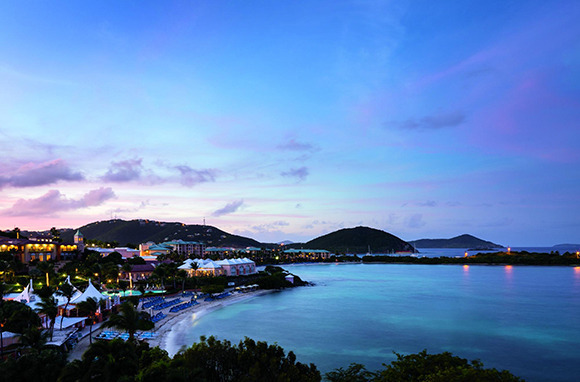 On any given winter day, it's not uncommon to see 10,000-plus people spilling out of half a dozen docked cruise ships and swarming into duty-free shops on St. Thomas' famous Magens Bay. By all means, Magens is a gorgeous crescent of beach and worth exploring. But there are other less-crowded beaches that deliver the Caribbean retreat you're craving when the temperatures back home have plummeted. On the east side of the island is lovely Lindquist Beach, popular with locals on the weekends but a quiet respite on weekdays. If you prefer a beach that's still relatively secluded but with a few more amenities, Bluebeard's Beach on the south side is home to the Ritz-Carlton Club but open to the public. Cross the San Diego-Coronado Bridge to Coronado Island's namesake two-mile beach. This west-side strand is consistently named one of the prettiest in the U.S. and one of the most popular for families with kids. 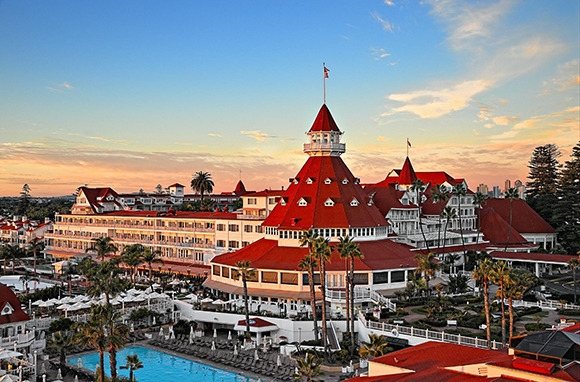 Bounded on one end by the elegant, Victorian-era Hotel del Coronado, the wide, flat beach is ideal for walking, jogging, or just relaxing on a towel while watching surfers and skimboarders. When the sun starts to set, head across Orange Avenue to the Ferry Landing for fish tacos or ceviche at Candelas on the Bay, served with commanding views of the San Diego skyline. Tucked on the southwest side of the island, Wailea Beach is one of Maui's best, with its soft, brown-sugar sand and glassy, clear-blue water. The beach is just below the Grand Wailea Resort, and the beach amenities (daybeds, umbrellas) are also shared by guests at the Four Seasons, but the beach itself is open to the public. Because its waters are typically quite calm, it's perfect for first-time snorkelers and timid swimmers. 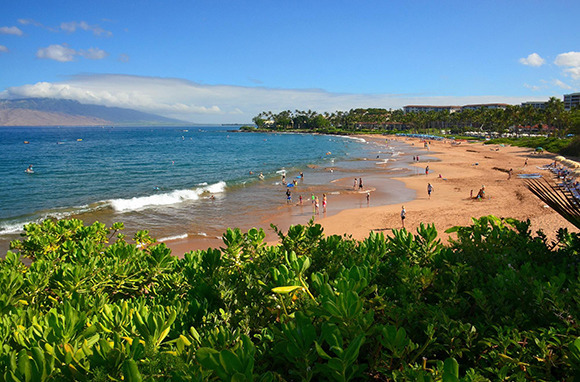 From the beach, you can hop onto the paved Wailea Beach Path, which runs for 1.5 miles and passes by eight resorts and five white-sand beaches and offers a perfect vantage point for spotting whales. Siesta Key's long, wide, baby-powder-fine beach has been called one of the best white-sand beaches in the world; the pristine sand is nearly pure quartz, and it squeaks beneath your feet. On this eight-mile-long barrier island, just a short skip over the bridge from Sarasota, the party keeps going all winter long, especially at sunset, when locals gather, wine glass in hand, to toast the sun as it slips down over the Gulf. 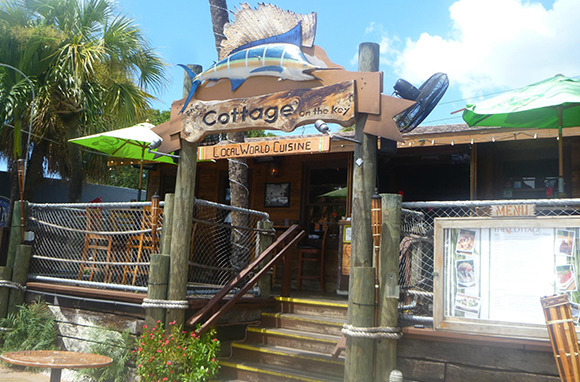 From there, it's a quick two-block walk to The Cottage, which serves some of the most creative seafood on the island. Sit on the front porch and watch the street life pass by, or head down to the patio in back for live music and a signature Siesta Painkiller cocktail.